On February 25th, Kayla and I traveled to Washington DC to testify at a Congressional Hearing to support the passage of the reauthorization of the MD-CARE Act. It was a life changing event and Kayla did a remarkable job reading her speech. There were hundreds of people attending and she wasn't intimidated at all. I'm so incredibly proud of her. 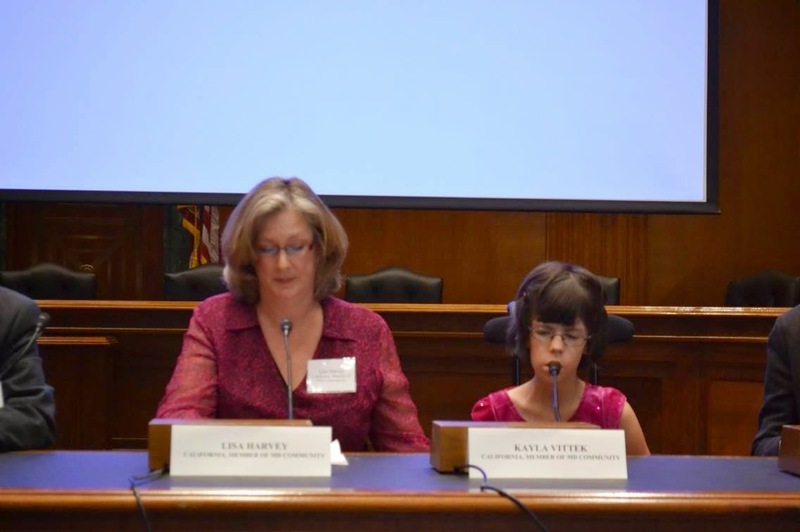 Lisa Harvey and her daughter, Kayla Vittek, both of whom have myotonic dystrophy, testified at the hearing. Harvey said that the MD-CARE Act "has already saved lives, and with this needed reauthorization, it has the potential to save millions of lives in the future." 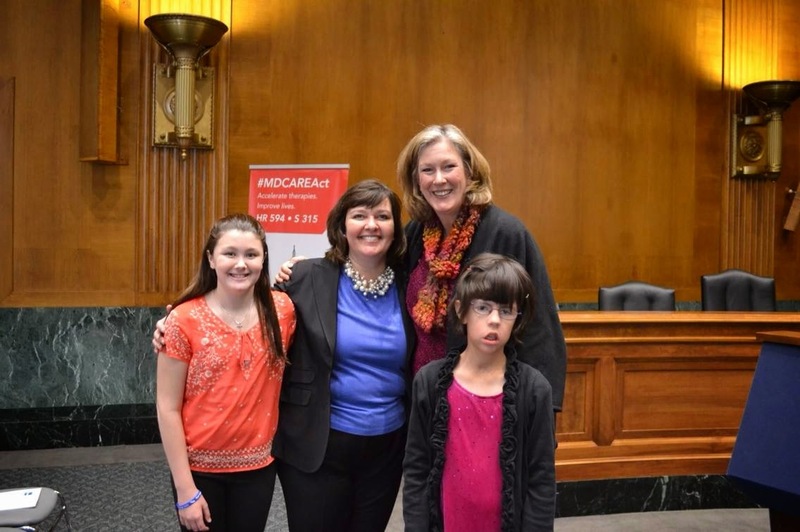 "The energy in the room was high, and the mood was optimistic," said Annie Kennedy, MDA's senior vice president of advocacy, speaking about the Congressional briefing on reauthorization of the MD-CARE Act that she attended and helped to organize. 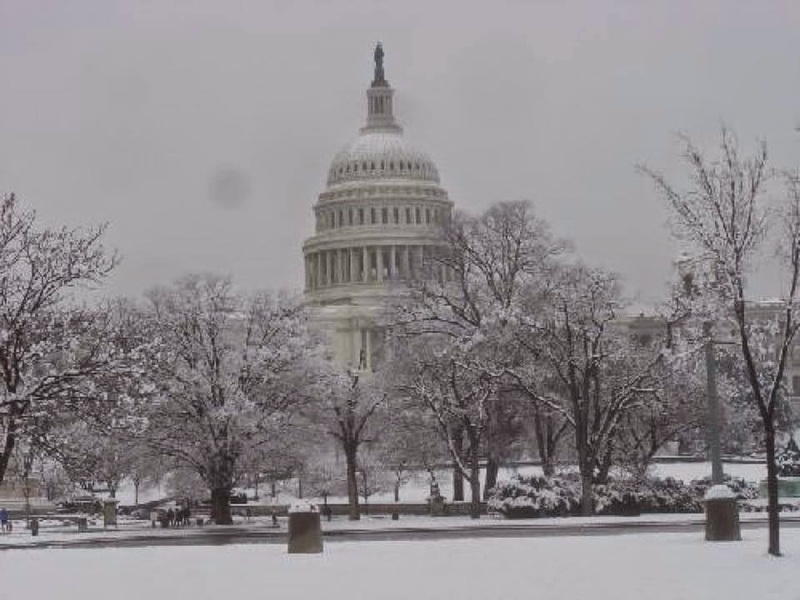 The briefing was co-hosted by MDA and other muscular dystrophy organizations in Washington, D.C., on Feb. 25, 2014, and was attended by some 250 people — Senate and House staffers, researchers, advocates and members of the muscular dystrophy community. Kennedy emphasized that the legislation is an example of a highly successful partnership between public and private entities. "We're cautiously optimistic that reauthorization of this landmark legislation is possible," Kennedy said, adding that it's imperative to keep the momentum going by encouraging legislators to sign on to reauthorization of the Paul D. Wellstone Muscular Dystrophy Community Assistance Research and Education Act Amendments (MD-CARE Act) of 2014 (H.R. 594/S. 315). 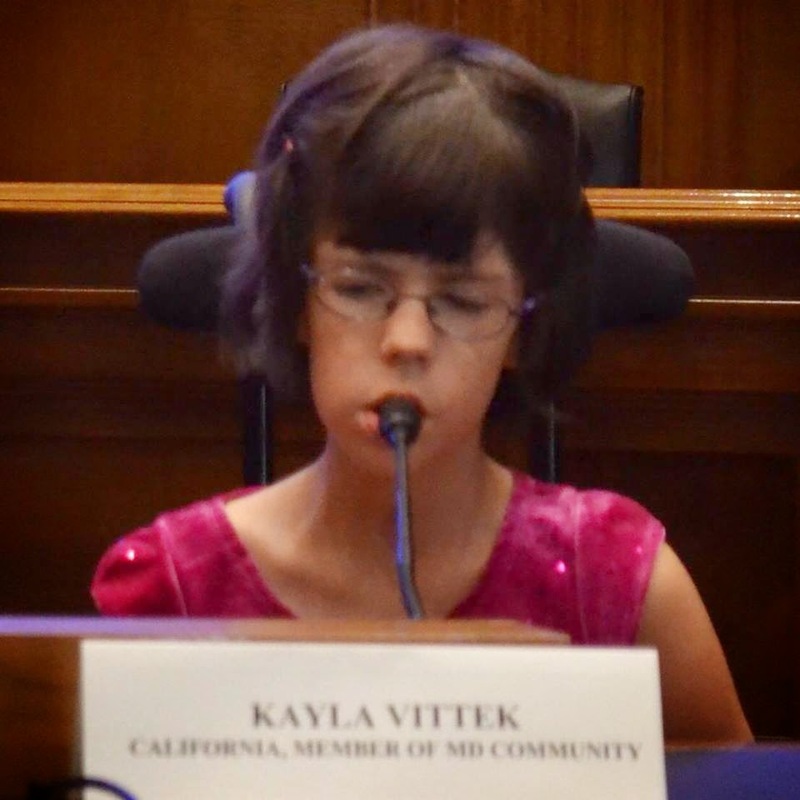 "The MD-CARE Act has leveraged significant breakthroughs in many of the nine muscular dystrophies," Kennedy said, "including research discoveries, therapeutic advances and quality-of-life improvements for those living with muscular dystrophy." The Feb. 25 congressional briefing highlighted three major MD forms — Duchenne muscular dystrophy (DMD), myotonic muscular dystrophy (MMD, or DM), and facioscapulohumeral muscular dystrophy (FSHD), with testimony by patients, parents, experts in the field, and representatives of advocacy organizations, including MDA CEO Steven M. Derks. In addition to MDA, Parent Project Muscular Dystrophy (PPMD) and the Federation to Eradicate Duchenne (FED) helped organize the briefing. Among the presenters were California residents Lisa Harvey and her daughter, Kayla Vittek, both of whom have MMD. Kayla was born with the severe congenital form of the disease and required a ventilator to breathe when she was born. At age 4, she was using American Sign Language to communicate. Today, she's in third grade, is able to speak and read her own testimony at the briefing.